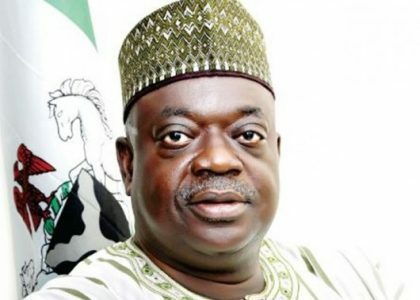 The former Governor of Niger, Dr Babangida Aliyu of the Peoples Democratic Party (PDP) says that he has no intention of defecting to the All Progressives Congress (APC). Aliyu made the remark on Monday in Minna following the defection of 34, 826 politicians from other political parties including Alhaji Aminu Yusuf, deputy chairman of PDP in the state. The News Agency of Nigeria (NAN) reports that many of the politicians who abandoned their various political parties to defect to the APC were mainly Aliyu’s close allies in the state. “I have no intention of defecting to the APC because I believe in the PDP. I had the opportunity of decamping to the APC when I led the G-7 Governors but did not do so because of my belief in the PDP. “What we protested then was to correct some of the abnormality in PDP but not to defect to the APC. “If I were a selfish politician then I will have defected to the APC then. May be I would have become a minister now,’’ he said. He noted that the PDP made him a governor, saying that it was a strong political party if not for internal wrangling that made it to lose the 2015 election. The former governor said that the party had started working toward correcting the wrongs at the various levels. On the herders/farmers clashes across the country, he said that the Federal Government must tag it a security concern and plan how to stop it.